By the end of the eighties, the ‘Ashoka’ name was hot on the lips of every curry worshipper in the west. Intrepid explorers from ‘the other side’ (of the river, that is), had been spotted winding their way westwards in search of that eastern promise. The southerners had to be comforted. It was time to build an oasis in the dopiaza dessert and open the Ashoka South Side! Food was amazing, service was great. 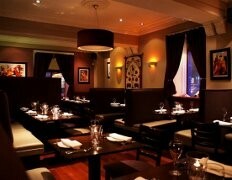 Lovely cosey wee restaurant will be back soon! Excellent food. Very cold or no heating and rather tired interior. Service a little rushed, however given that it was so cold it was nevessary to leave after an hour. In need of a make over and install some permanent heating for the guests. Great food and great staff would recommend this restaurant to anyone. Great food but unfortunately when the manageress left for the evening the heating was turned off and it felt like the staff had their coats on and were desperate for us to leave. This was just after 9.45pm. What a shame as it made us very uncomfortable. We had a delicious meal and thought the service was excellent! The Foid and wine were very good value. We will definitely visit again. Food was absolutely delicious. The service was great and my mum had a fantastic birthday meal, all thanks to the staff. 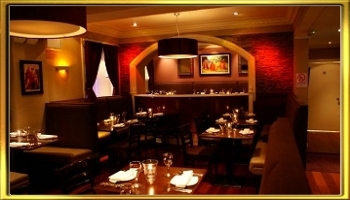 Quite simply, a high quality Indian meal with service to match. Will we come again? Yes... yes... yes! Lovely food and service. Would return again. Had a birthday meal here, fantastic food and I recommend the tablet ice-cream! Good food, great service,  decor a bit dull but we'll be back. Good food and great service as usual. Chicken jaipuri is the best curry in Glasgow.